Lakefront Housing in the Poconos has steadily been the most popular purchase of any home in the Pocono Mountains. Bodies of Water flow throughout the entire Mountain Region. The Lehigh River flows through Pocono Communities such as Bear Creek Lake. Most of the State Parks in the Poconos come equipped with a Beautiful Flowing Stream, Creek, Lake, River, or a Certain Body of Water that brings an Earthy and Special Feeling. There are lakes everywhere, and many different communities have their very own lakes such as the 125 Acre Motor Boating Lake in Lake Harmony and Lake Harmony Estates which also borders the Famous Split Rock Resort. 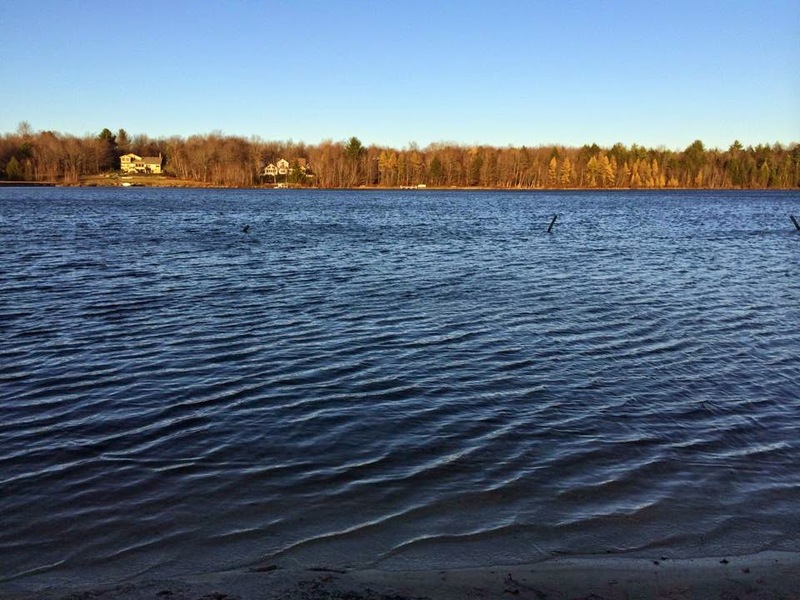 Here is a list of some Pocono Communities with their very own lakes that include Beaches, Boating, Fishing, and many more. Feel free to click the links below to see for yourself how Beautiful the Pocono Waters really are. Splash into the Pocono Mountains this Summer with our Waterparks and Beaches. The Poconos is filled with indoor and outdoor Waterparks including two new ones that are being built and are set to open this Summer of 2015. Spring Time is only a month away here in the Poconos, and that doesn't just mean all of the trees will be coming back to life. In the Pocono Mountains there are many different Resorts and Communities that have their very own Golf Courses such as Mount Laurel, Thornhurst Country Club Estates, Jack Frost Mountain, and much more. Take a look at this Golfing Event coming this June in the Poconos. The Pocono Mountains Hospitality Scholarship Golf Tournament hosted by the Pocono Mountains Visitors Bureau will be held at Mount Airy Golf Club. Proceeds from this fundraiser will benefit the Pocono Mountains Visitors Bureau Hospitality Scholarship Fund. Registration includes: green fees and cart, Continental breakfast, luncheon, awards ceremony, and raffle prizes. Here in the Pocono Mountains there are many different attractions that bring people from all over the nation to our area. One of the most popular is our Pocono Communities. These Communities features a number of Amenities that usually include Beaches, Lakes, Pools, and much more. This Community finds itself packed throughout the entire Spring and Summer seasons. Welcome to Arrowhead Lakes. Arrowhead Lakes is a private lake community located in one of our tiny towns Pocono Lake. This Community is Gated with 24/7 Security. It is loaded with many Amenities. Some of these amenities include 4 Beaches, 3 Heated Swimming Pools, Tennis Courts, Playgrounds, and much more. Arrowhead Lakes also has a newly constructed lodge building that offers a fitness center, pool tables, a library, and hosts a number of community events. Arrowhead also borders Pa State Gamelands. Some of our homes back right up to the Gamelands. Wildlife is all over the Community including Whitetail Deer, Foxes, Racoons, and Black Bear. This is one of our finest Amenity Filled Communities and you and your family will love it for sure! When people think of the Pocono Mountains of Northeastern Pa a lot of the time they think of skiing, hiking, fishing, and breathtaking mountainside views. All of those wonderful things are here, but the Poconos is also made up of many small private an amenity filled communities. Enjoy the Poconos at its finest in a beautiful home within walking distance from some of the best amenities the Pocono Mountains has to offer in one of our fine Pocono Communities. Feel free to click around below to see which one best fits your and your families needs and desires! Lake Harmony - Lake Harmony & Lake Harmony Estates are amenity filled private communities which boast a number of amenities including 125 Acre Lake, Boating, Beach , Boat Docks, Tennis Courts, and it is also one of the only Motor Boating Lakes in the area. The Pocono Mountains has been known throughout the years to bring some of the hottest entertainment to the Northeast. Take a look at a couple of fun events coming soon to the Mountain! The Pocono Comic Expo will be taking places at East Stroudsburg University. The Pocono Comic Expo is the first ever comic book convention to be held in the Pocono Mountains! Enjoy vendors, cosplayers, and special guests! Guests include DC Comics artist Rags Morales, Yu-Gi-Oh voice actors Johnathan Todd Ross and Erica Schroeder, the Steampunk marines of the Imperial American Air Corps, and more. 4/8/15. It's Comedy Night In Hawley Pa on February 27th, 2015. Join Ehrhardt's for comedy night. Hosted by Tim Hayes from The Comedy Shop at the Tropicana, featuring Craig Loydgren from The Artie Lange Show Direct TV from SiriusXM and headliner Joseph Anthony from the Last Comic Standing, The View on ABC, and Winner of Kill or Be Killed on The Howard Stern Show. Have dinner at the restaurant before the show and get $5 off your ticket! Enjoy a cash bar and munchies menu. Spring is right around the corner here in the Poconos, but while winter is still here we can have as much snowy fun as possible on the Mountain. Cross Country Skiing in Dingmans Ferry. Enjoy the winter woods with beginner ski lessons. Learn the basics of cross-country skiing and practice on an old logging road loop. You decide how many loops to ski. Skis, poles, and boots are provided. Call to register with shoe size to guarantee a spot. 2/22/15. Annual Parking Lot Party At Camelback Mountain. Join Camelback at the CBK Lodge parking lot for a fun-filled weekend of tailgating, grilling, live music, games, prizes, pond skimming, a cardboard box derby, and much more! There will be cook-offs and tailgate decorating competitions! Reservations for parking spots must be made in advance. Anyone is welcome to join the party! Call 570-629-1661 for more information. All money raised from this event goes toward local animal rescues. Winter is still here in the Pocono Mountains, and the skiiers are storming into our Pocono Ski Resorts . Right after ski season comes Spring. Spring time in the Poconos brings many festivals and a lot of golfing and hiking. Here are a few festivals that will be coming to the Poconos this Spring Season. With a change in the weather on the horizon here in the Pocono Mountains, we'll be switching gears with many different Festivities and Events throughout the area. Take a look at these Holiday and Spring Time Festivals coming to the Poconos in the next couple of months! The Saint Patricks Day Parade in downtown Stroudsburg! Enjoy 90-100 marching units approx eight bands leading the eight divisions of non-profit groups, politicians, and local businesses marching between two boroughs to celebrate the life and good works of St. Patrick of Ireland with a grand Marshall who exhibits the similar characteristics. The Pocono Mountains stretches across five different counties throughout Northeastern Pennsylvania. Within these counties are Small Towns, Communities, and Pocono Resorts. Aside from the giant Kalahari Waterpark Resort that is being built in Pocono Summit and is set to open in the Summer of 2015, there are a number of different Resorts that offer their own special kind of fun. Mount Airy Casino Resort is the 5 star Casino of the Poconos, and it offers a number of games including slots, tables games, tournaments, and much more. Mount Airy is also home to restaurants, hotels, a fitness center, a pool, and hosts many different forms of entertainment from live music to stand up comedy to a night club. Many different celebrities have spent their nights right here at Mount Airy. Camelback Mountain is one of the most popular destinations in the Poconos. Camelback Mountain is a Ski Resort in the Winter, and it turns into Camel Beach Waterpark in the Summer time. Camelback offers skiing, snowboarding, tubing, terrain parks, a progression park, a mountain coaster, and much more. CamelBeach offers rides, slides, and pools to soak in the Summer with! Penn Forest Streams is a Heavily Wooded Private Community Located just off of Route 903 in the Beautiful Pocono Mountains. This Cozy Community is Comprised of 710 Home Sites within Five Different Sections having 14 miles of moedern roadways. It is just 7 Miles North of the County Seat of Carbon County, Jim Thorpe, Pa. Penn Forest Streams is Very Scenic and Private. These secluded Homes are Nestled into the Never Ending Woods of the Pocono Mountains But being Nestled in the Woods doesn't exclude Penn Forest Streams from the Landmarks and Establishments that make the Poconos so exciting! Penn Forest is not far from Pocono Raceway, Penns Peak, Fine Dining, Shopping, and much more! Penn Forest Streams is also close to Whitewater Rafting, Skiing, Hiking, Camping, Hunting, Biking, and Paintballing! The Community Amenities Include 2 Pools, Security Services, a Clubhouse, Pavillion, Tennis Courts, and Basketball Courts. Penn Forest Streams offers Pocono Mountain Festivities including family friendly events such as Community Sponsered BBQs and other social events. With the Average Lot size being around One Acre, it allows for your home to Nestle even further into the woods for that 'Forest' Like Setting. This Community is not Gated and does allow Four Wheelers and Golf Carts. Penn Forest Streams offers Homeowners Peace and Tranquility that comes with Pocono Mountain Living at its Very Best! The Pocono Mountains is home to many different attractions that bring people from all over the nation to the Northeast including Resorts, Communities, and Events. The Poconos is about to bring a different kind of Resort to the Mountain. This will be the biggest Resort in the Northeastern part of the country, and their biggest location. Kalahari Resort will be opening up to the Pocono Mountains in the Summer of 2015. This $230 million, 150 acre complex will be completed in two phases. When Phase I is complete the Pocono Mountains resort will offer convention and meeting goers flexible space alongside extraordinary function areas throughout the indoor and outdoor waterparks and family entertainment center. Other signature amenities include Spa Kalahari and Salon, Camp Kalahari Activities, and plenty of indoor and outdoor adventures for the entire family to enjoy. This is certainly going to be an awesome edition to the already full of fun Mountain. The Poconos has 2 Major Casinos ( Mount Airy Casino & Mohegan Sun) that host Table Games, Slot Machines, Bars, Restaurants, Live Music, Hotels, and so much more. Mount Airy is a 5 Diamond Casino! It is one of the nicest in Northeastern America. Splash your way into the Great Wolf Lodge holding an Awesome Waterpark and other fun events for the entire family to enjoy together. Pools and Waterpark fun for everyone. Summer Time in the Pocono Mountains is that time of year when people storm into the area to see all of nature comes back to life, and to get themselves involved with all of the events that surround the season. Whether you are checking yourself into a home in a Pocono Community or you are just visiting, there is a lot going on. Take a look at one of our events that is already scheduled to go down on the Mountain! The Pocono's famous Skirmish Paintball Center will host Savage Race on June 26th, 2015. Located at the beautiful Skirmish USA, Savage Race is an intense 5-7 mile obstacle run with 25 world class obstacles, mud, fire, and barbed wire. Completion requires teamwork, courage, and the will to push your limits farther than you ever have before. Run individually or create a team! It looks like we're set for 6 more weeks of winter here in the Pocono Mountains. That doesn't mean we can't start planning out our Summer Vacation Getaways right now. Shawnee Mountain is set to kick off their annual Pocono Wurst Festival. The dates for this event are July 18th and July 19th 2015 so mark this one on your calenders. The Poconos' Wurst Festival is coming back to Shawnee Mountain with even more wursts, wieners, kielbasa, pierogies, and brews! With both Polish and German themes, the event will feature three stages of music, traditional costumed dance performances, pig and hot dog races, ethnic craft vendors, new Bier Stein Olympics, fun games for adults and plenty of wursts, wieners, kielbasa, pierogies, and cold brews. Children's entertainment will include the Puppen Meister marionette show, Brat Man living statue, rubber duck races, bavarian juggling shows, and face painting. Bring your appetite! Food vendors will be serving up the best wursts, potato salad, red cabbage, apple strudel, BBQ kielbase, pierogi, potato pancake pastie, sauerkraut, stuffed cabbage,potato dumplings, sauerbraten, bratwurst, schnitz un knepp, schweineschnitzel, szaszlyk, bigos, kiszka, golonka, and much more. This is always a fantastic event at Shawnee. It is certainly something you do not want to miss!